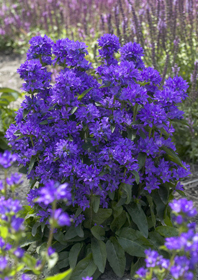 Long booming clusters of star-shaped, warm medium purple flowers are borne prolifically up the strong, upright, well-branched stems. Flowering stems make up 2/3's of the plant! Great in the border or a container.